If you travel abroad this summer, look out for visa trouble. No, not the credit card variety. I’m talking about visas, as in travel permits. Visas are a hassle. They’re expensive, complicated and arguably unnecessary. Worse, they can be a formidable roadblock — at times, an insurmountable obstacle — for summer travelers. Consider the visa war between Europe and the United States. You can fly to Europe without any kind of paperwork, except for your passport. But a dispute over visa reciprocity just bubbled over in Brussels, endangering that arrangement. Basically, the United States is wary of allowing Croatians, Cypriots, Bulgarians, Romanians and Poles to come to America unless they have a visa. The European Union wants all EU citizens to be treated equally and allowed visa-free travel to the USA. European legislators recently passed a non-binding resolution to impose visa requirements on Americans, starting next month. No question, visa uncertainty is in the air this spring. But there are remedies. First, know who requires a visa and what could go wrong. As of now, Europe is visa-free. 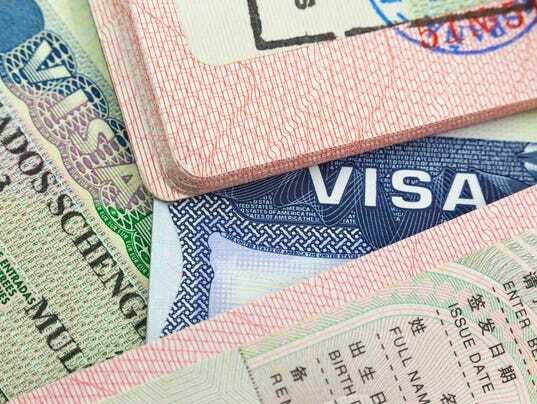 Brazil, China, Russia and India are the major countries that require visas for American visitors, according to James Wolf, a San Francisco attorney who specializes in immigration law. Dot your i’s and cross your t’s, folks. Timing is also important. Applying for a visa can be a lengthy process, so you need to start thinking about it well in advance of your vacation. You should usually do visa applications about six to eight weeks before travel. The application forms can be lengthy, and the requirements are often absurd. Brazil, for example, requires you to fill out an appointment form first, then your passports have to be sent into the embassy for the actual visa. How about the uncertainty with Europe? It’s really hard to predict that outcome. Unless the United States caves in and agrees to the EU’s reciprocity demands, you may need a visa to visit Paris this summer. If that happens, it will probably add 60 euros to the cost of your vacation— that’s the cost of a short-term visa to Europe from countries that require one. Unfair? Not really, Americans love to think that the visa regulations of other countries are unfair. But take a closer look. When the United States raised the visa fee for Chinese travelers, China raised the visa fee for Americans. When the United States began taking its time with visas for Brazilians, the Brazilian consulates in the USA slowed down their processing time. What is unfair, to some, is that visas are even required. Visas are basically a deterrent to travel. They put a damper on last-minute travel, raise the cost of your trip and needlessly complicate the already confusing task of planning travel. Cut the red tape, and you open the gate to tourism, and all the commerce and cultural benefits it brings. How can that be a bad thing? • Mind your expiration dates. Both visas and passports have an expiration date. Be aware of them, and make sure you don’t overstay. Almost every country in the world requires six months’ validity remaining on your passport for entry, as well as applying for a visa, so check your passport expiration dates prior to applying for a visa. Some countries will allow you to bring in a valid visa that is affixed to an expired passport as long as you have a new valid passport and present both of them together. • Take the right photo. When submitting your visa application, you usually need at least one passport photo. Countries are specific about their requirements (no sunglasses, no hats, specific formatting). Pro tip: Never staple the photo to your application,. It could void the entire application. • Remember, a visa isn’t a guarantee of admission. Travelers assume a visa is a permit to enter the country. This is quite far from the truth. The immigration officer at the point of entry of the country concerned is the ultimate authority and determines if you will be allowed to enter or not.